In honor of National Volunteer Week, we are excited to launch a special opportunity to shine a light on the people who inspire us and make a difference in the User Group community. The User Group Champion spotlight program celebrates exceptional User Group members who share their knowledge and passion for Dynamics 365, AX or CRM providing meaningful learning and experiences for their User Group peers. 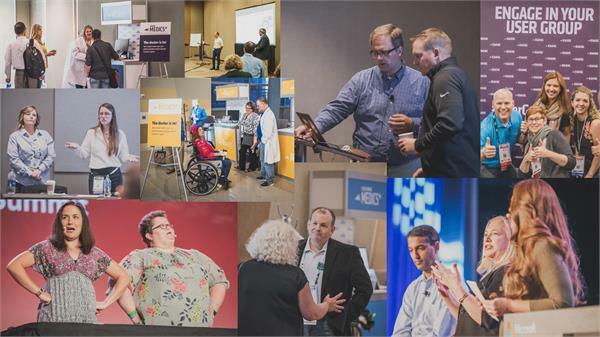 Tell us about a volunteer in your User Group community who has impacted your work by helping you solve an issue, maximize the performance of your Dynamics product, improve operations, overcome obstacles, or achieve your professional goals. Perhaps they posted an idea or solution in the User Group Discussion Forum, led a session for your local chapter, presented a webinar or conference session, wrote a blog or article, or inspired you through their leadership in a chapter, board or committee. Volunteering in the User Group community comes in many forms, and the User Group Champion spotlight recognizes and celebrates them all! It only takes a few minutes to tell us about someone making a difference in your User Group community. Anyone who is a part of the User Group community can submit a nomination. The User Group Champion program launches during National Volunteer Week and will remain active throughout the year. Let us know who inspires you!